“Al-Qaeda will have to support McCain in the coming election…he would continue the failing march of his predecessor,” it said. The Republican presidential hopeful has said that he does not support a withdrawal from Iraq and wants to increase the troop presence in Afghanistan. In contrast, Democratic candidate Barack Obama has called for the withdrawal of troops from Iraq so that money can be freed up for domestic programs. This fact may worry Al-Qaeda as a smaller US presence in the region could hurt recruitment efforts by the terrorist group. 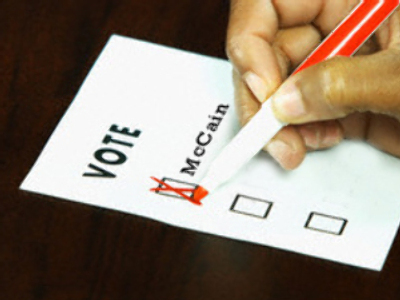 Many believe that al-Qaeda might attempt to cast its own ‘vote’ in the election. Joseph Nye, a political scholar who served under the Carter administration, believes that al-Qaeda could try to carry out an attack on the US in order to shift the vote towards McCain. The recent posting on the Al Hasbah website appears to confirm this feeling. Al-Qaeda has a history of trying to influence elections. The 2004 Madrid train bombings were viewed as an attempt to unseat then prime minister of Spain, Jose Maria Aznar. Aznar lost the election three days after the attack. Later that year, again just days before the election in the US, Osama bin Laden released a video message threatening terrorist attacks on America. Many believe this helped tip the scale towards Bush who was favoured more in foreign policy polls over John Kerry. Kerry himself admitted that he lost the election because of it. The election comes at a time when Americans, recent polls suggest, have become more concerned about the failing economy and less worried about terrorism and national security. 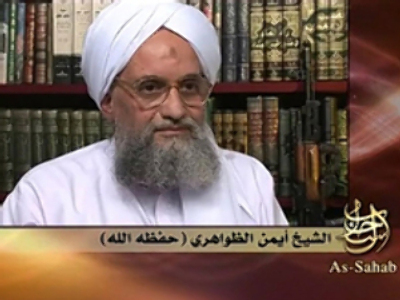 Al-Qaeda may be interested in reminding the world of its presence. The Republican campaign responded to the story by criticising the Islamist website for having only a loose association with al-Qaeda – and blasted the Washington Post for breaking the story. Jim Woosley, former CIA director and current McCain advisor, said that the comment posted on the website was actually trying to hurt McCain. The Obama campaign did not comment.